The V9 Bobber is the sport custom that gave life to the medium engine capacity bobber segment. 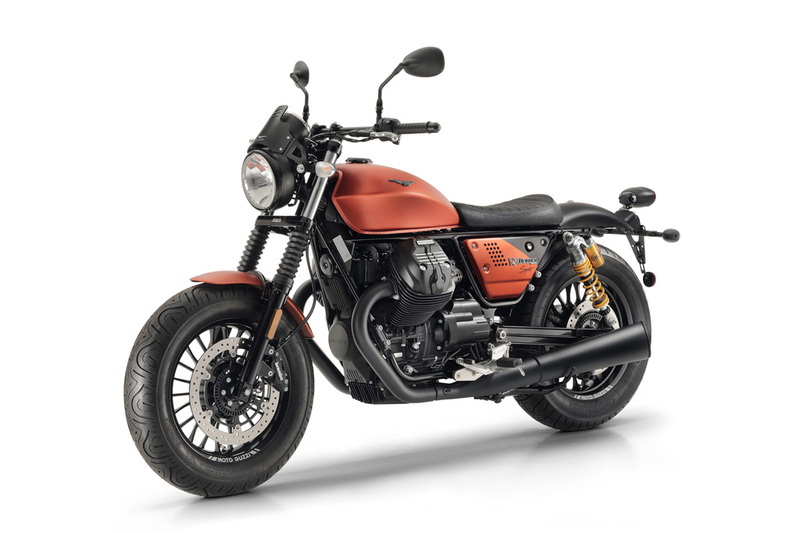 It is a bike with unique personality, essential in its shape and with a look marked by its numerous total black details and its oversize tires, just like the ones mounted by the riders in the post WWII era who gave life in the US to the bobber phenomenon, racing on dirt flat tracks. 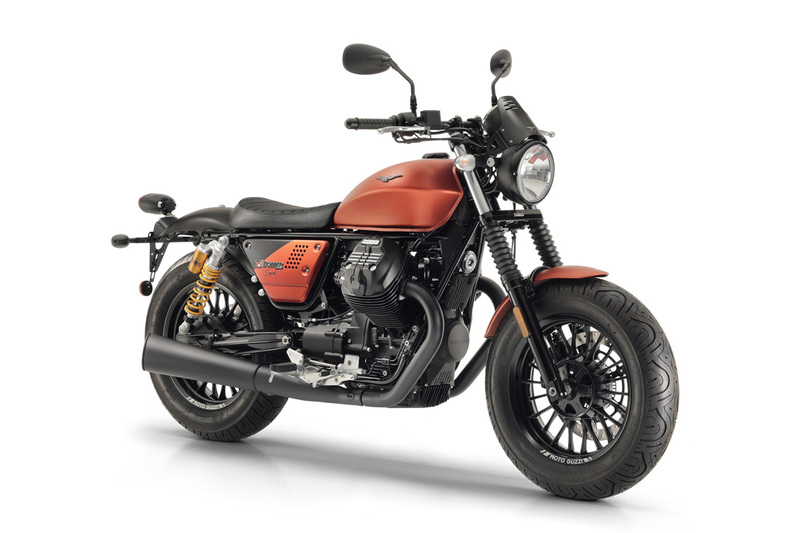 Its precisely this “racing” origin that inspired the new special Moto Guzzi V9 Bobber Sport series with a decidedly mean look and the revelation of the sportiest side of its character. 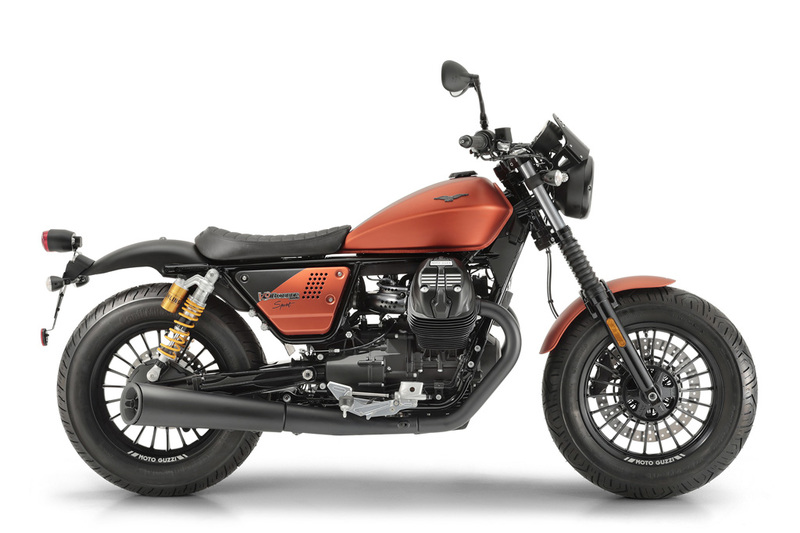 The unmistakable sound of the Moto Guzzi 850 V-twin is enhanced by the street legal slip-on exhaust pipes painted matte black and with an aluminum bottom, characterized at the end by a sleek, oblique shape. 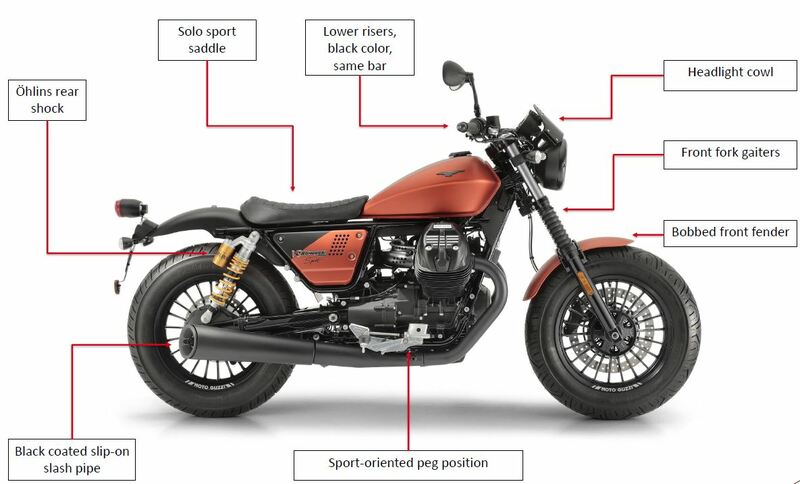 Frame and suspension qualities, riding pleasure and easy handling are enhanced by the Öhlins shock absorbers.